This design is a stunning combination of swirls and curls combined with straight lines. The top half of this design was inspired by the grace and beauty of leaves, while the bottom design is inspired by the simple beauty of stripes. 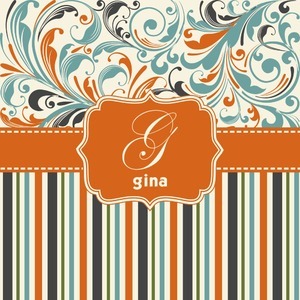 The orange and blue colors combined on this pattern was inspired by another floral pattern.